While you’re here in Vancouver, take advantage of a great selection of activities on land and in the the water — all against a spectacular backdrop of ocean, mountains and forest. 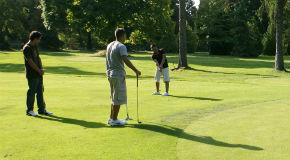 So pack your swimsuit, a picnic, a putter or all the above, and get ready to have fun! 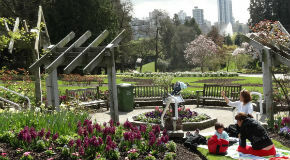 Enjoy one of Vancouver’s most popular destinations and take advantage of all there is to do and see along the Seawall! Download the map and learn more about this scenic path lining the city waterfront. 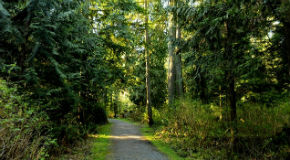 Explore more than 27 kilometres of forest trails, winding through the park’s dense foliage. 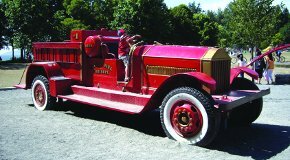 Visit our four fun-filled children’s playgrounds: Second Beach, Ceperley, Miniature Train, and Rose Garden. Get park locations and find out what amenities are close. Dine with a view – have a picnic in the park! Get information on first-come picnic tables, and making reservations in designated Stanley Park picnic areas. Work on your game or challenge friends to a match at one of the many tennis courts in park. Find more information about free and pay court options. Cool down with a visit to the Variety Kids Water Park at Lumbermen’s Arch from 1 June to 1 September. 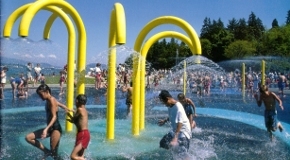 Second Beach Pool is a heated, outdoor pool located in Stanley Park. It is open from Victoria Day weekend to Labour Day. Located on the Stanley Park seawall at Stanley Park Dr and North Lagoon Dr beside the outdoor pool, Second Beach has a concession, washrooms, playground, picnic shelter, summer lifeguards, and pay parking. A great spot for quiet bathing, picnics, and watching sunsets, Third Beach is a naturally sandy beach surrounded by trees. 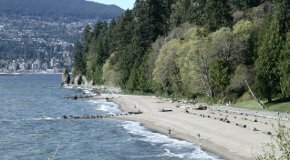 Located on the Stanley Park Seawall system at Ferguson Point, the beach has a concession, washrooms, summer lifeguards, and pay parking. Barbeques are allowed.